PGA Junior League Golf, the PGA of America’s signature youth golf program, will expand to Asia, starting with China this summer. 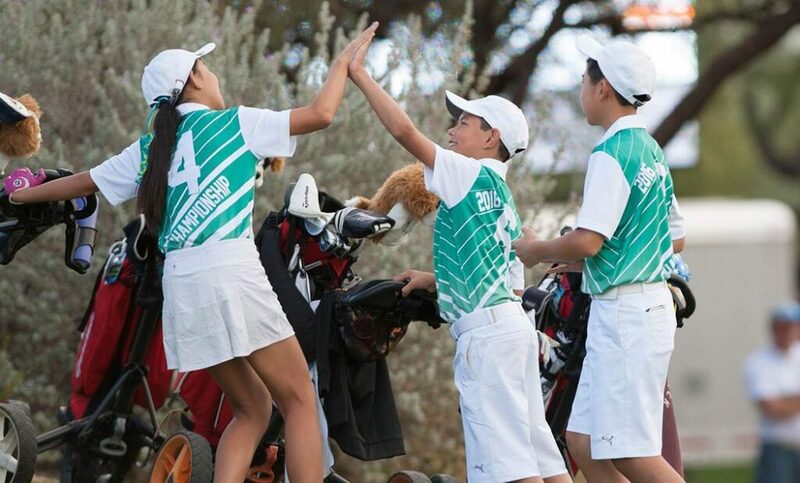 The popular team approach to golf for boys and girls ages 13 and under will debut in Asia for the first time ever, through a new joint licensing agreement with NLN, LLC. The announcement was made Friday in conjunction with the 2017 China Golf—PGA Merchandise Show at the Shanghai Convention & Exhibition Center of International Sourcing. PGA Junior League Golf is a fun, social and inclusive opportunity for junior golfers of all skill levels to learn to play and enjoy the game of golf. Kids play on teams with their friends, wearing numbered jerseys and using a popular two-player scramble format, which creates a nurturing environment for learning the game. More than 36,000 junior golfers played on PGA Junior League Golf teams across the United States last year, a 300-percent increase since 2013. Local golf operators and instructors overseen by PGA of America Professionals will serve as Captains and coaches in the new venture. NLN, LLC is a joint venture between the Nicklaus Companies, a global marketing, licensing and golf course design company; League Golf, the original partner developers of the PGA Junior League Golf format; and NPlay Golf, a golf technology company. In a new development for PGA Junior League Golf, leagues in China will not only be forming at green-grass golf facilities, they will also be conducted at indoor golf simulator centers. Rungolf, the largest facilitator of indoor golf in China, was selected to provide PGA Junior League Golf at up to 200 of their affiliated simulator centers. This exclusive indoor simulator relationship was arranged for by NLN’s Asian service provider, Spyglass Holdings Ltd.
“We are excited to have Spyglass as our agency in Asia, and to now be able to offer the accessibility of indoor golf to youngsters, thanks to Rungolf and their many affiliated simulator centers,” said Robert Longmire, NLN Managing Director and League Golf CEO. A PGA Junior League Golf Asia website will soon be available online. For more information on PGA Junior League Golf, please visit PGAJLG.com.